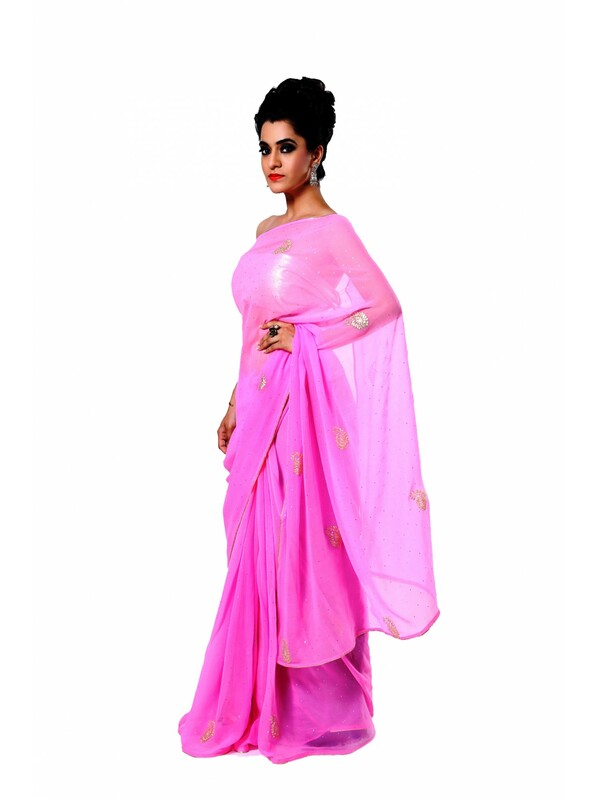 This beautiful pink color saree is made on faux georgette. It is embroidered with pittan work paisley motifs in gold zari. 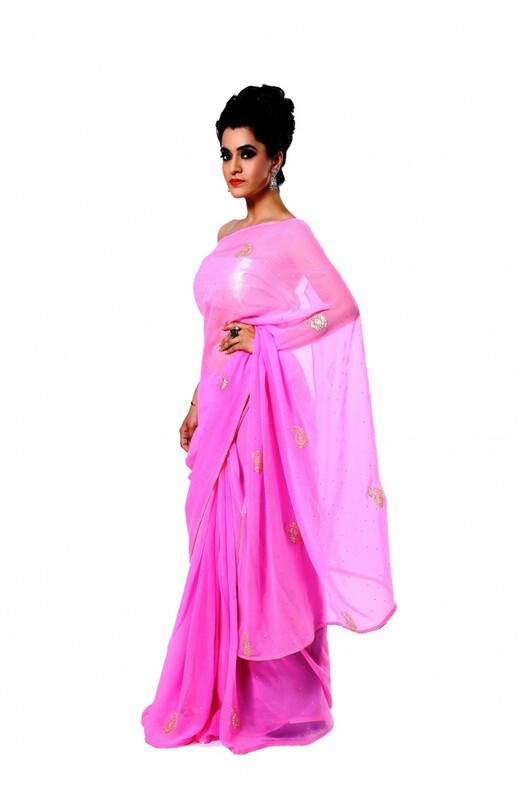 It is furter highlighted with mukesh dots all over the saree. It is finished with the gold zari pipin. It comes with the contrast blouse in purple color in faux raw silk with heavy embroidery in pittan work jaal all over.